Alejandra Luaces sprinkles gluten-free flour over a wooden table in her home and drops a ball of chilled dough onto the surface. Dusting the top with more flour, she reaches for her rolling pin to create a smooth sheet of dough for an order of peach bourbon turnovers. She spoons peach bourbon jam made with peaches from Georgia’s Pearson Farm onto one half of each rectangular cutout and folds the other half over, stamping the edges with a fork to seal it. It’s her first time using vegan butter to make the dish her Instagram audience adores, but she’s confident it’ll work. 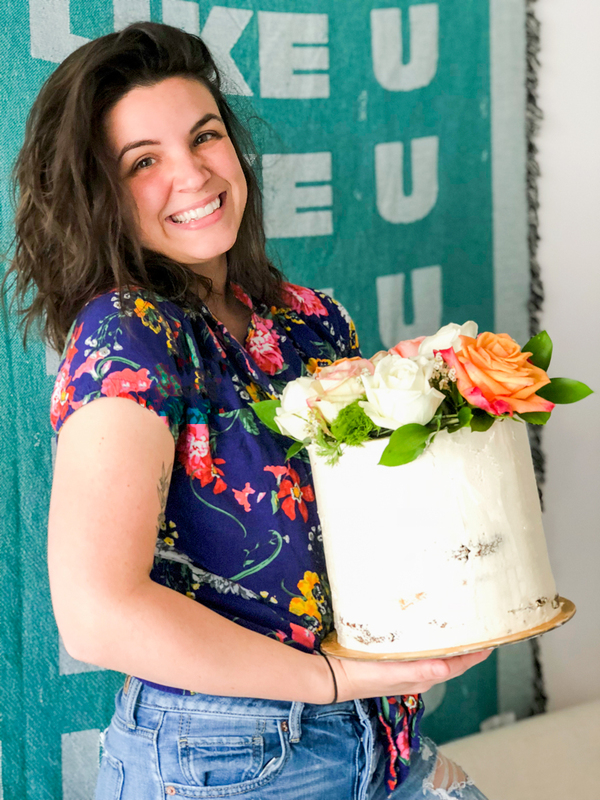 Experimentation is what drives Hell Yeah Gluten Free, Luaces’ at-home baking business that takes a community-centered, artistic approach to gluten-free baking. Operating under a cottage food license, Luaces makes cakes, doughnuts, turnovers, and more out of her own home. Farm-to-table baking is what she calls it. 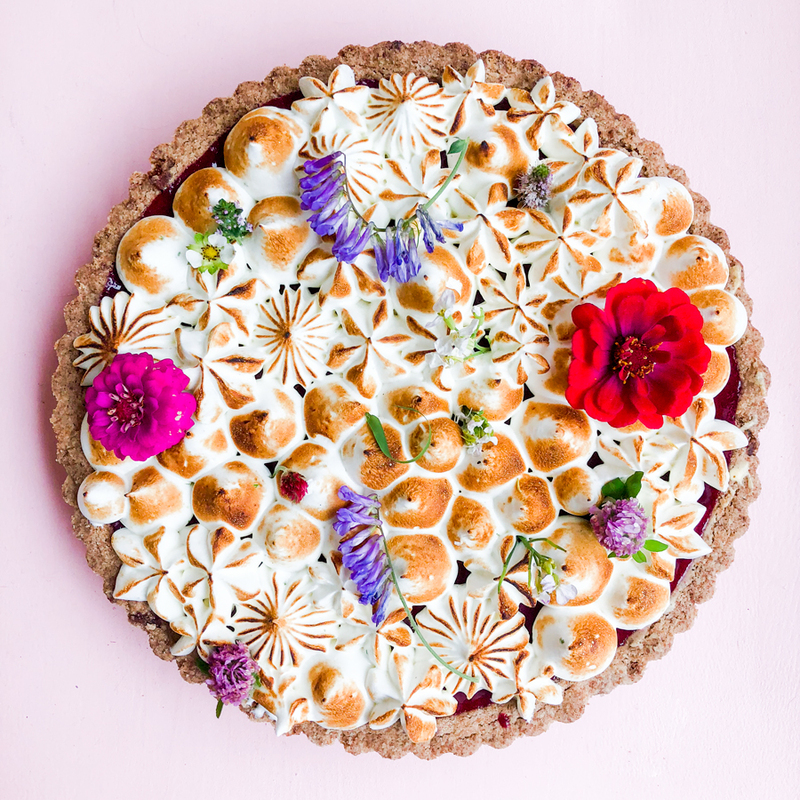 Luaces relies on seasonal ingredients from local farmers to create eye-catching, gluten-free pastries that come in unique flavors—think turmeric-infused golden milk doughnuts and peach tarts with a pecan-hyssop (an herb in the mint family) crust and hyssop meringue. As such, Hell Yeah Gluten Free offers constantly rotating flavors rather than consistent staples, and the seasonality means you won’t get a strawberry cake in winter or a pumpkin pastry in summer. Some flavors can even phase out in weeks rather than months. From 5 a.m. to sometimes past midnight, Luaces doesn’t just complete orders. She also manages her social media presence, snaps her own photographs, and fully manages her business, including the accounting. Though she jokes that she doesn’t sleep, she continues to crank out about 20-50 orders per week because she believes everyone should have the opportunity to indulge in something delicious, even if they have an allergy or sensitivity. 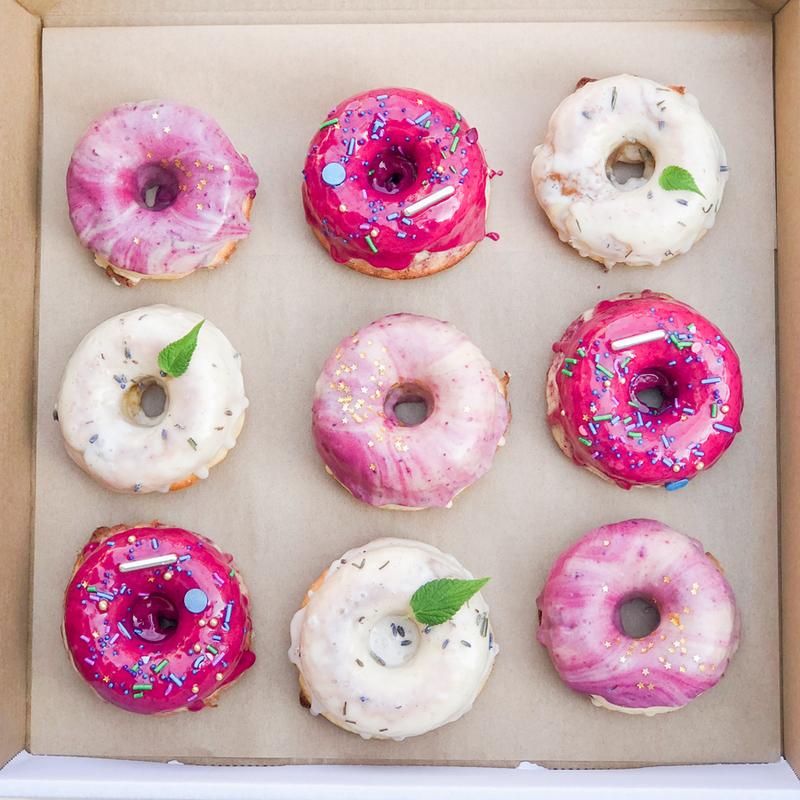 The 29-year-old officially launched Hell Yeah Gluten Free in April after leaving her job as an engineer at Atlanta-based email marketing platform MailChimp. There, her coworkers were the taste-testers of multilayered cakes, various tarts, and cupcakes she learned to make from reading now grease-stained books, watching videos, and trial and error. “People started just being like, ‘Why are you working here? You need to do something else,'” she recalls. At first she ignored the comments, but as her love for baking grew, she found herself less passionate about going to work. She would wake up to bake, push through her office job, then come home only to start baking again. Eventually, she decided baking made her happy in a way that engineering just didn’t. Luaces says her main challenge is convincing people that gluten-free baking isn’t a fad and that her product isn’t dry or bland just because it’s allergy-friendly. Luaces says the innovative flavors and visual appeal of her pastries make her stand out in Atlanta. “I make things for everyone that are made for sharing visually,” she says. (Her Instagram account currently has more than 3,500 followers.) She creates many of her products’ bright colors with natural dyes: turmeric for bright yellow, beets for pink, and matcha for green. As part of her commitment to offering a variety of “safe” foods, Luaces also offers vegan, nut- and dairy-free options that sometimes take her months to get just right. 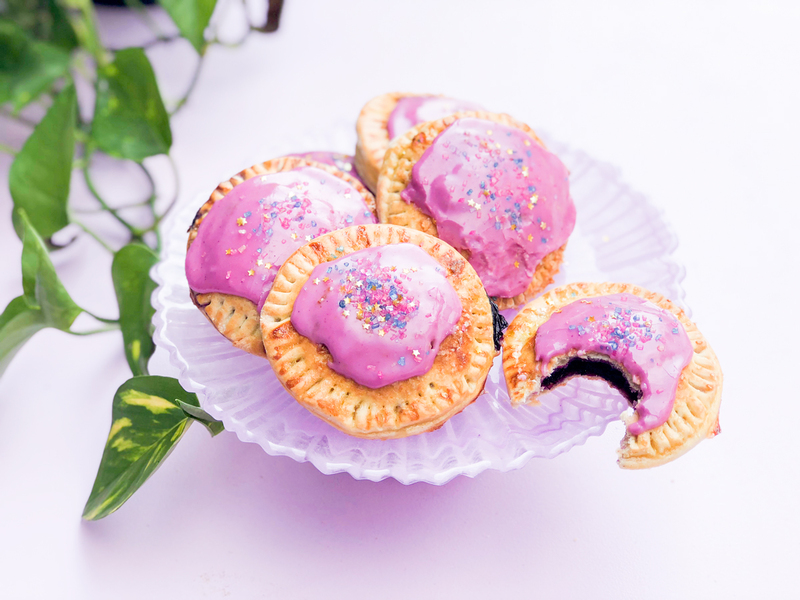 She plans to continue experimenting with creations like the vegan peach bourbon turnovers, which come out of the oven after 22 minutes with an even golden-brown top that sparkles with coarse sugar crystals. Luaces is in the process of securing a storefront for Hell Yeah Gluten Free and launched a Kickstarter on September 19 to raise $20,000 for the space, equipment, and staff needed to get the bakery off the ground. She hit that goal in four days. She hopes the storefront will also serve as a safe place for those who eat gluten-free. “You’re not going to get sick after eating here,” she says. “You can relax and be comfortable, and you can pick anything in the case.” And once the location is finalized, she’ll determine the menu items and focus on perfecting recipes with her team. But for now, she’ll continue to sell her gluten-free goods at local markets like 8Arm’s Chaka Khan Hacienda on September 30 and from where it all began—her home.